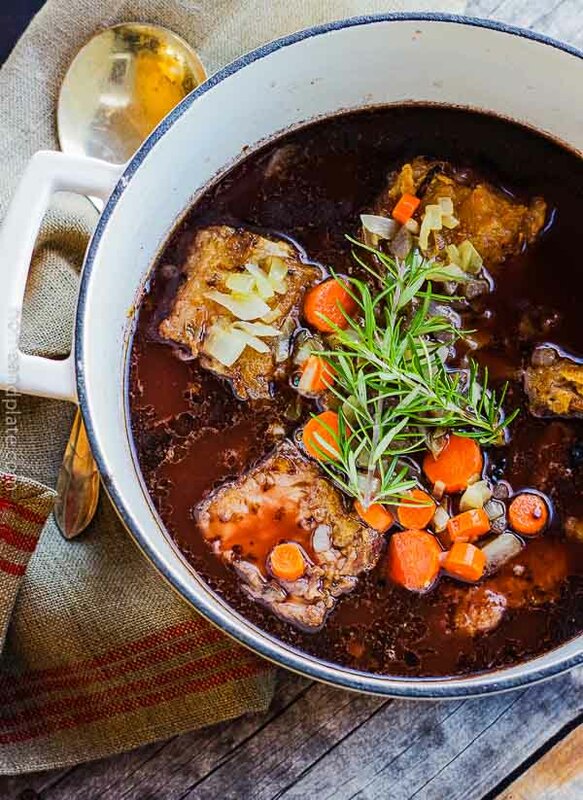 Fall off the bone tender and delicious, these oven braised beef short ribs are cooked in a rich gravy and are so easy to make. 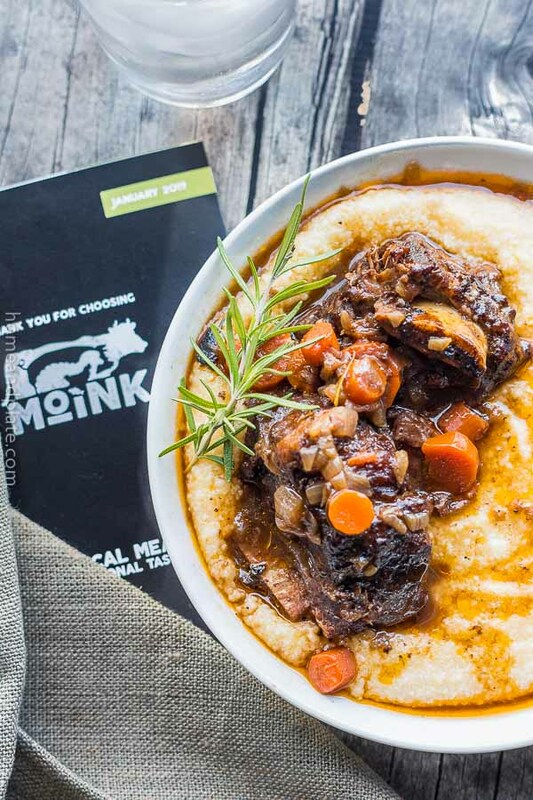 This short ribs recipe is sponsored by Moink. Thanks for supporting one of the brands we love. It’s a delivered package of the most delicious meats you could imagine! Inside my Moink box were six of the thickest and meatiest bone-in short ribs and all I needed was my Dutch oven and a few hours on a Sunday afternoon. Are braised beef short ribs easy to make? 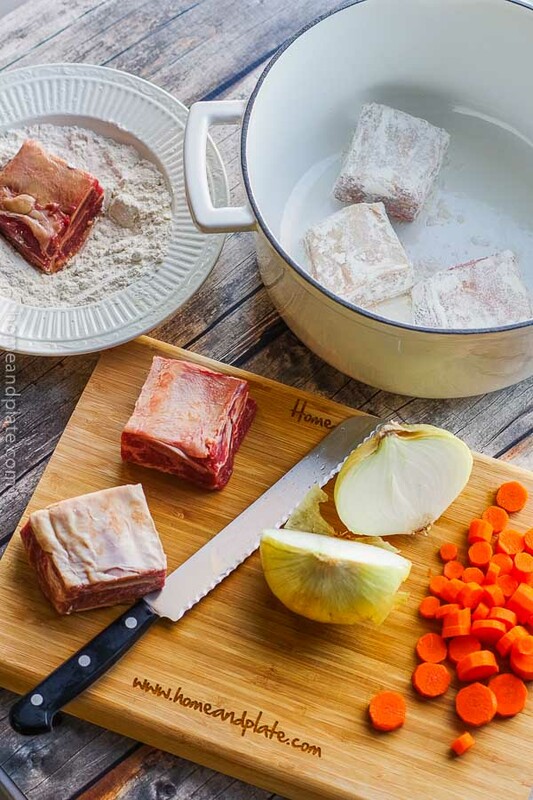 How do you make braised beef short ribs? A few key ingredients including beef broth, red wine and Worchestershire sauce, flavor the meat and transform these ribs into fall-off-the-bone deliciousness. Thanks to Moink, I can plan and create my next dinner recipe and luckily, I’ve got lots of delicious options to choose from. There is nothing better than quality, ethically-sourced meat straight from the farm. The beef and lamb are grass fed and the chicken, beef, lamb and pork are pasture-raised. The fish is sustainably wild-caught in Alaska. 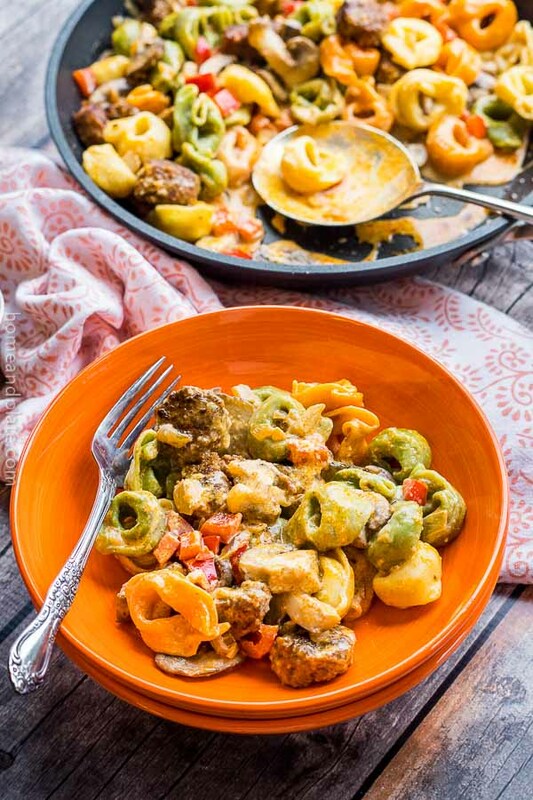 It’s the perfect choice if you want to put a healthy, high-protein dinner on the table and it’s also great if you follow a Paleo, Whole30 or Keto diet. Ethically sourced, exceptionally tasting meat is delivered to your doorstep by Moink, an online meat delivery service. The boxes are completely customizable and Moink makes a great gift any time of the year. And above all, my Moink box was delivered for free to my doorstep. What should I serve with beef short ribs? 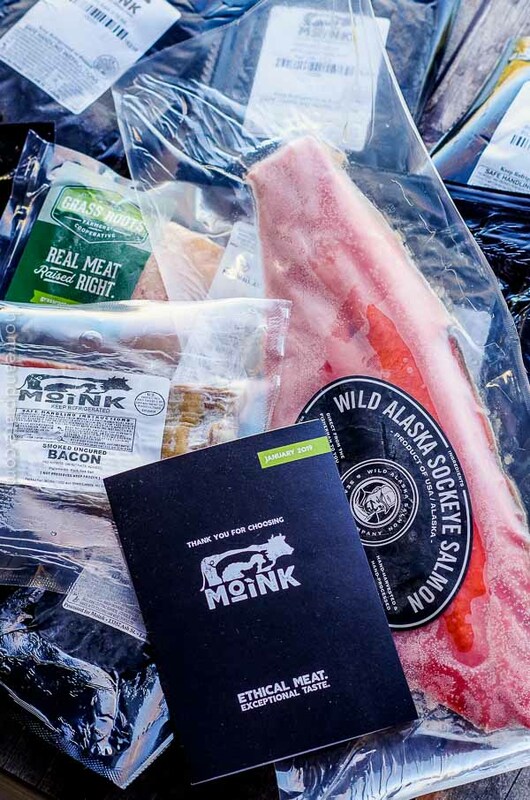 Order a Moink box by January 24 and get free bacon for life! If you’d like to order your own Moink Box be sure to do so by January 24 to get free bacon for life. Otherwise, use my discount code “homeandplate” at any time during 2019 to get $20 off of your first order! Shipping is free, plus you can sign up for Moink’s newsletter to receive more special offers, the latest news and an inside-look at their farms. Preheat the oven to 300 degrees. Season the short ribs with salt and pepper and dredge all sides in the flour. Heat the olive oil in a large Dutch oven over medium high heat. Sear all sides of the ribs until they are evenly browned, about eight minutes. Transfer the ribs to a platter. Reduce the heat to medium and add the onion, garlic and carrots and cook until the vegetables have softened, about 7 minutes. The short ribs will braise in the oven for about three hours. Once the meat is tender and almost falling off the bone, remove the ribs from the pot and transfer them to a large plate. The perfect warm and comforting meal for these chilly days! Thanks for sharing! I agree…these are perfect for these winter days. These look so good! I keep seeing recipes for short ribs, so I think it’s a sign, I need to make this recipe. I’ve never heard of the Moink box! How fun!! I have to check that out. 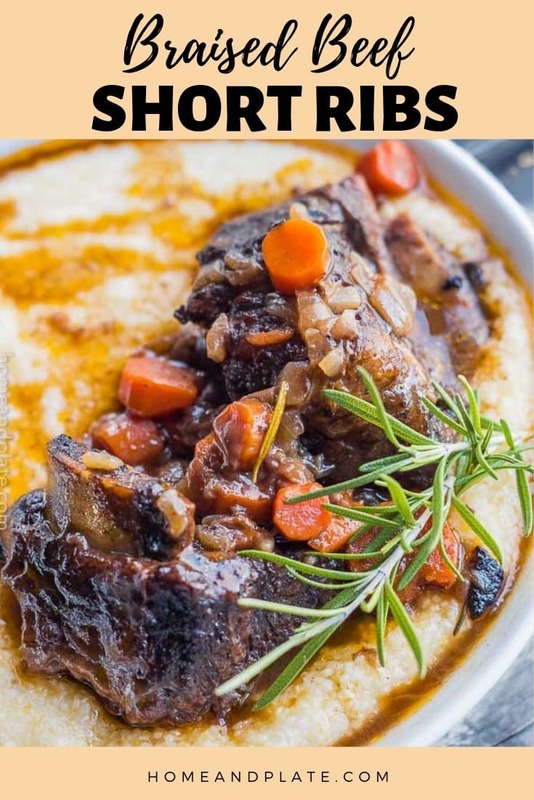 Your short ribs look so incredibly delicious! They look perfectly cooked and juicy! Moink has so many great selections too. Definitely check them out. We love short ribs at our house! 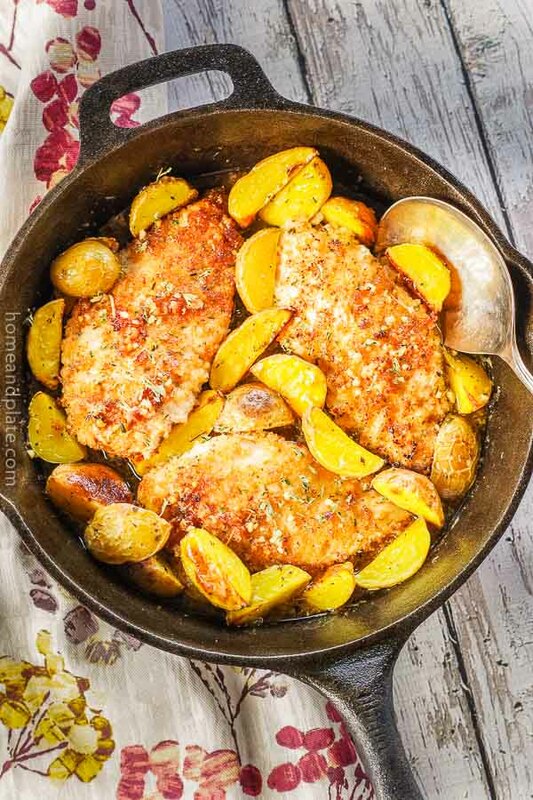 I am definitely adding this to my dinner menu this week! Thanks Jessica, these short ribs are winner on the dinner menu. We love them too. 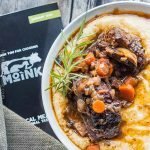 I love short ribs – such a comforting meal! Loving the flavor combinations you have in this dish! We love them too….It really is such a great dish for these colder months.